Standing: Charles Severn, J. Walker, Mr Pogmore, Sam Turton, Mr Pressley, Mr Hutchby, Herbert Shirtcliffe, Mr Howes-Smith. 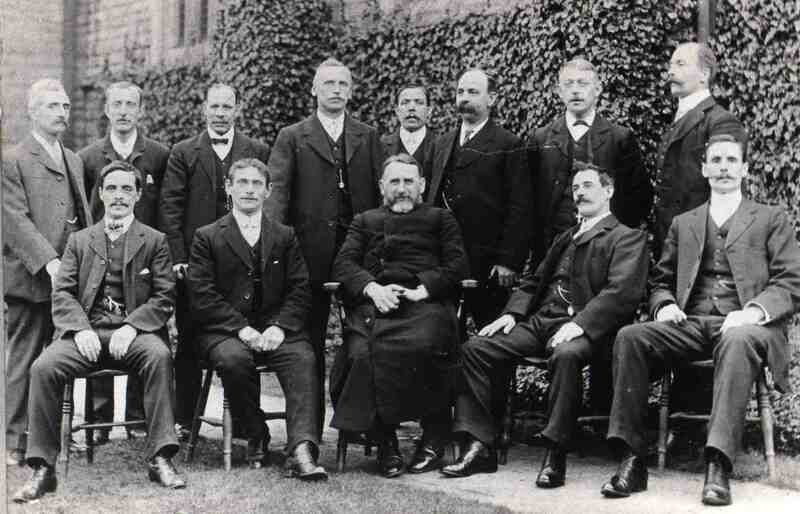 Seated: Hayden Pressley, B. Newton, Rev Mr Curry, J Mellorship, Mr Spooner. Could the “Mr Pogmore” be a relative of mine? Is there a record of his Christian names? Charles Severn was my grandfather who was a well known bell ringer and there are plaques in the Church Tower which record his bell ringing efforts.